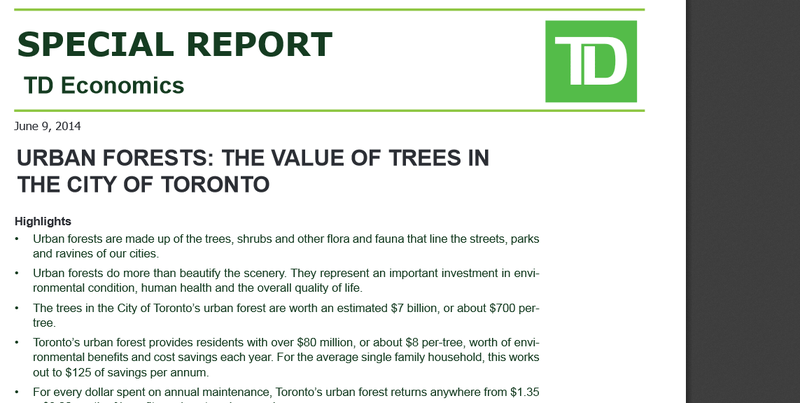 A special TD Economics report was released earlier this week that detailed the importance and value of Toronto’s urban forest. Coming a long way from “fuzzy environmental feelings”, this hard-hitting report outlines the need for urban trees to help clean water, stabilize soil, clean dirty city air and so much more. Click here for the full TD Economic Report!